‘Youth of Today, Future of Tomorrow’ was a one day conference organised by CMC at the Expo Milano 2015. Dedicated to kids’ and youth content in the entertainment and educational markets. TV buyers, producers and educational software and content buyers from a range of territories attended. The one-day event ended with one-to-one meeting opportunities with key guests. Lord Puttnam is an UK Trade Ambassador and was the headline speaker at the CMC ‘Youth of Today, Future of Tomorrow’ Conference. Joining UK companies representing key kids’ brands in entertainment and education, David Puttnam talked about the digital future of education. 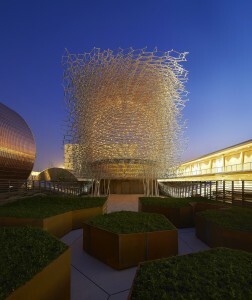 Included one day ticket to Expo Milano 2015 and the breathtaking UK ‘Beehive’ Pavilion (on 9 September). UKTI organised ‘GREAT’ weeks right through Milano Expo in the UK House in central Milan. More information on the UK Creative Industries week here.